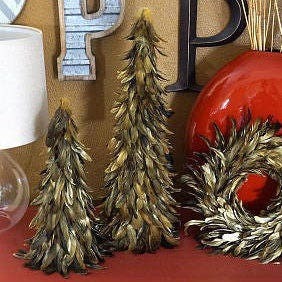 Large Gilded Metallic Feather Tree - 24" tall and approx 6-8 inches in diameter at the base. 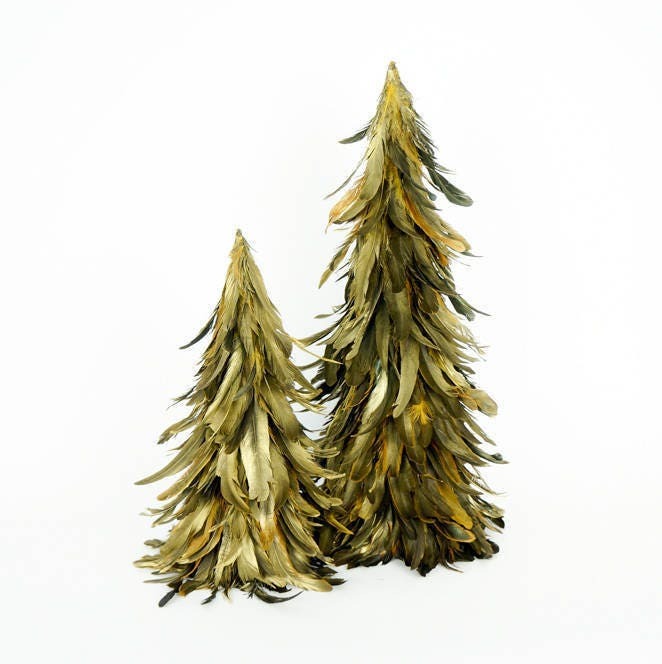 The Rooster Schlappen feathers on this tree have been dyed black, then gilded with gold or silver paint to give it an elegant, but modern look. The feathers are glued onto a cardboard cone that has been reinforced with wire and can be nested inside of another tree for easy storage. 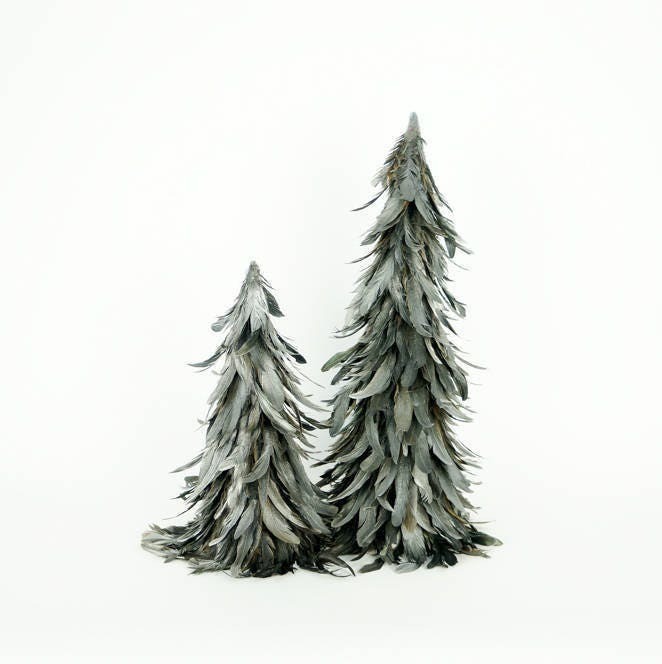 This product is part of our Feather Holiday and Decor - Feather Trees category." 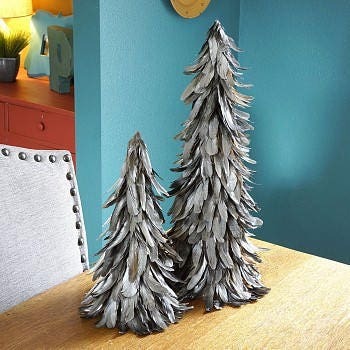 SUGGESTED USES: Feather Christmas Trees make great home, office or special event decorations. 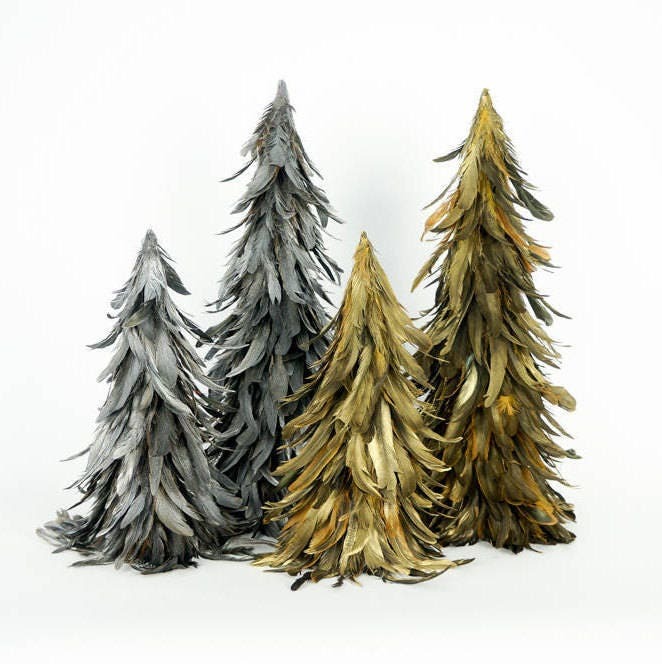 They also look great for Holiday window displays.